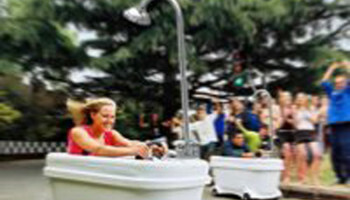 Good clean fun without having to wash your hands! 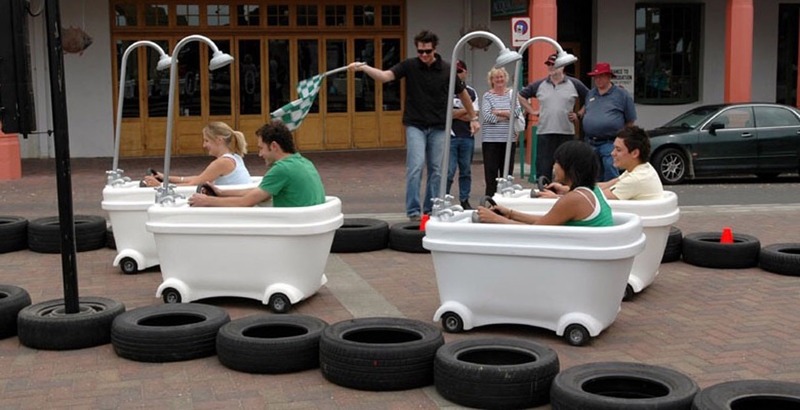 These bathtub racers are fast and exciting. 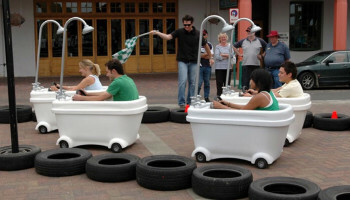 Each bathtub racer has a steering wheel and an accelerator lever. Two participants race at the same time inside an inflatable track or we can set up a course with orange cones. 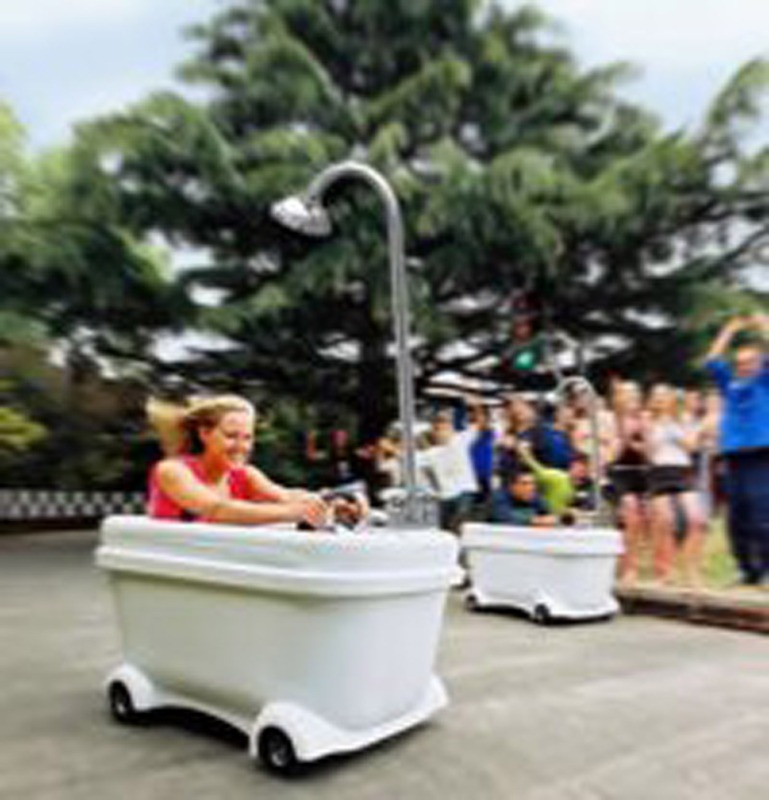 Space requirements: The bathtub racers must be run on a hard surface, such as a gym floor, concrete or asphalt, they will not run on grass.